Lateral radiograph of the skull reveals 6 nails entering the mans head and neck. This happened in 2005 to a construction worker in Southern California. 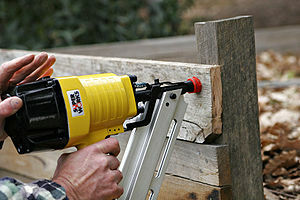 He had fallen off the roof of a home onto another worker operating the nail gun. 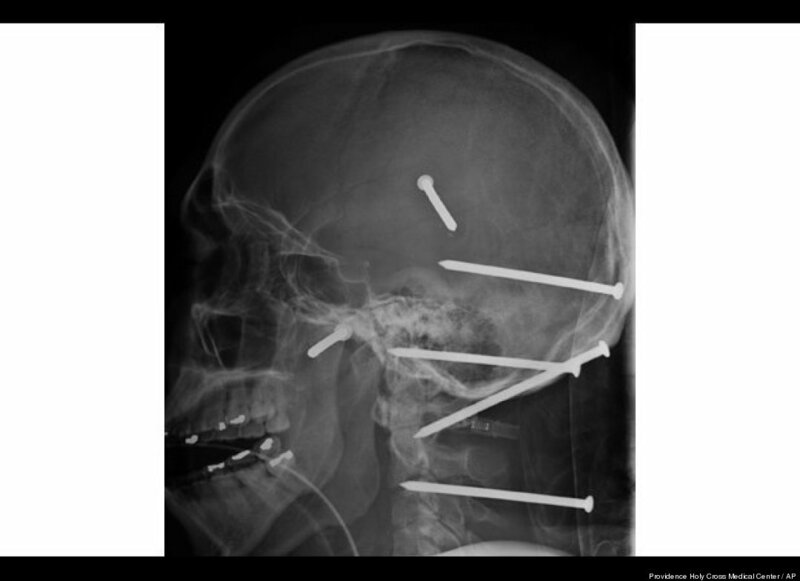 At that point, the nail gun discharge six nails into his face, head and neck. Some of the nails penetrated his brain and came close to hitting his spinal cord and brain stem, which would have lead to paralysis and death. You can read more about the story here.